This is a round Blue Seal Motor Oil porcelain sign. This particular Blue Seal Motor Oil sign is predominantly white with red and blue text. 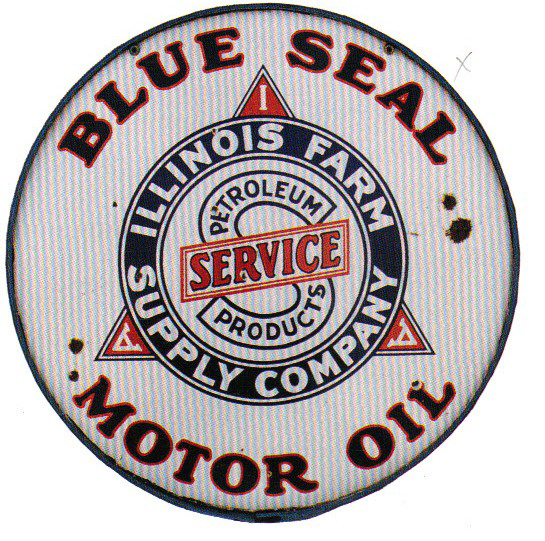 It reads, “Blue Seal Motor Oil, Illinois Farm Supply Company, Petroleum Service Products” and features a large S in a circle on top of a triangle in the center.